There are many Loft Conversion ideas. Most Attic Conversions are used to create new habitable space. Some are built to make a new Home office and others for Kitchen Space. This Loft Conversion idea page is brief but to the point. 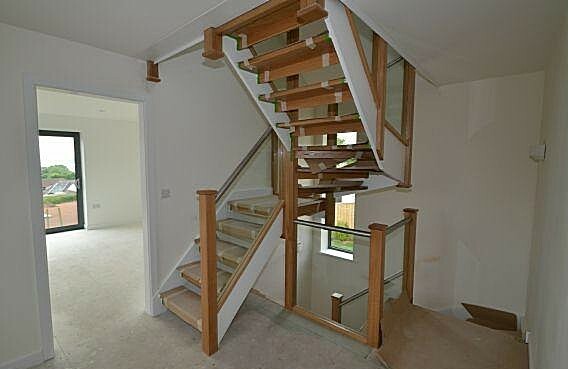 Staircase designs are important and there is many types of staircases on the market. Glass stairs are becoming popular as they allow more light to pass through. They also look very nice as well. Traditional stairs leading into an Attic Conversion are good also, They can be varnished over to show off the wood or painted to tie into the colours leading into the Loft Room. Steps can lead straight into a Loft Room or have one or two turns. This depends on the available space that is available within your landing. 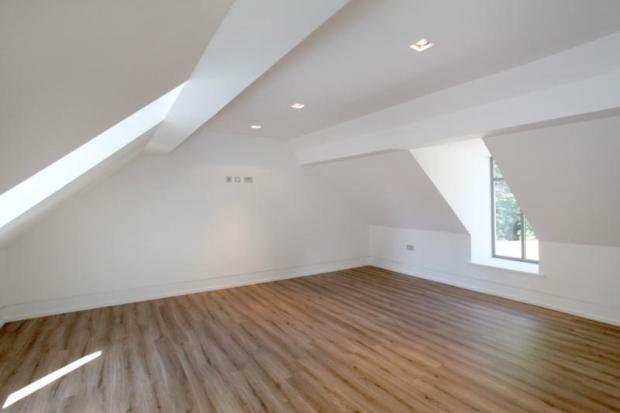 Loft Conversion ideas include different styles of decorating and finishes. 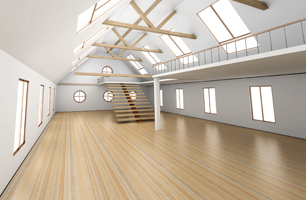 Attic Conversions are slightly different than updating other parts of a home as there is a roof slope to play with. The Loft Room ceilings can be used in a very creative way when decorating. 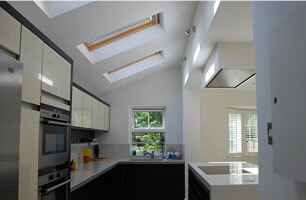 Most homeowners opt for lighter colours within Loft Conversions to reflect the natural light in a better way. Dark colours also work well but you have to try and use different shades and blend coulors together to make them work better. Windows come in many designs and styles. Bathrooms will have frosted glass windows and there are a number of frost styles to chose from. Roof Light windows are installed in the slope of the roof. They come in many different sizes and are equipped with blinds at an extra cost. The rule of the thumb here is the more the merrier. It’s much better to let the natural light flood into the new room. Storage solutions in Attic Conversions are numerous as a new conversion creates a lot of storage space. In the eaves of the roof, at the front of a Loft Conversion where the roof slope meets the floor. Eaves cupboards can be installed. These provide a good amount of space for storage. Custom made cupboards are also an option to create storage. Lighting creates good effects when done right. 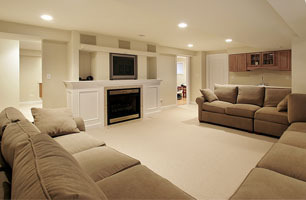 If lights are placed strategically they will make the new room beautiful at night also. Spotlights with dimmer switches are good for ceiling lighting whilst up and down lights can light up walls and rebound colours.